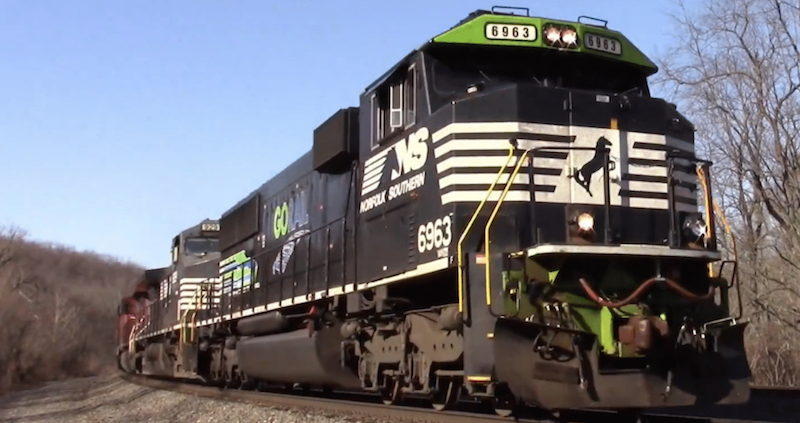 Dear Customers Athearn has announced a special run of the NS SD60E Go Rail Engine. They are also adding addional rod numbers in the standrd black NS paint scheme, and for those of you missed the 9-1-1 Engine we have a few left. and flat front with a centered cab door. The first unit was finally released for service on November 15, 2010, carrying road number 6900. In March 2011, 6901 was released, followed by 6902 in June of that year. These three units gave NS mechanical personnel valuable feedback as the units toured the system, enduring “real life” testing. In March 2012, the fourth SD60E emerged from Juniata as one of the 12 units initially funded for the program. But the pace of the remanufacturing process picked up as initial teething problems were addressed. The units soon met the carrier’s expectations and began entering revenue service on a regular basis.